Best known as JLV, Mr. Vilon is a French and American designer. His designs range from graphic and art design, user interface design, eMarketing, online and mobile UI design. After living 12 years in the USA, today JLV is responsible for the Asia pacific strategy for an international design firm VELOOR. JLV believes the future is moving toward mobile brands which provide people with something of value. Increasingly, this value will come in the form of new ideas, multimedia involvement and mobile experiences, instead of ads, and daily interruptions. JLV is part of the following organizations: Board Member of Sarcoma Cancer Alliance based in California. 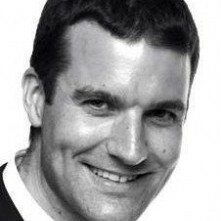 Web site Committee Member of US Executive Club – Young leaders Committee Cenac Fondation: Board Member and President of Marketing Committee CNCCEF: Appointed by the French Prime Minister in 2005 as Deputy Trade Advisor for the Trade Department. Elected in 2009 board member of the Small Business Council attached to the French Minister of International Trade. Elizabeth Bates brings the benefit of 25 years of experience in the technology industry.  In 2001 she founded Consultrex, Inc., a consulting and development firm specializing in research and technology-based solutions to enhance Internet privacy for businesses and organizations. 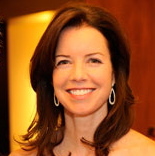 In 1989 she founded IMMIX Telecom, Inc., which she grew to become a multimillion-dollar global corporation. Ms. Bates has taught Computer Science at Lynn University in Boca Raton, Fla., where she served as Assistant Professor and Computer Science Program Chair, and has completed doctoral coursework and earned EdS and MS degrees in Computer Education from Nova Southeastern University. 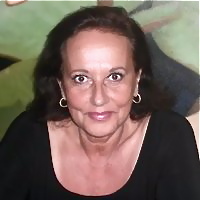 She is a member of the International Association of Privacy Professionals (IAPP) and IBM Data Governance Council, has held positions as treasurer and president of the South Florida Chapter of ISSA, and served on South Florida Technology Alliance (SFTA) and American Electronics Association (AeA) Boards. 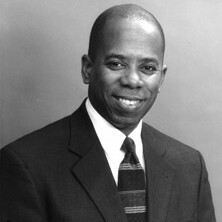 Robert H. Smith, Jr., a native of Tallahassee, Florida, is currently the Artistic Administrator of Orchestras at the Verbier Festival (Verbier, Switzerland) where he has worked with a host of internationally renowned conductors, including Kurt Masur, Valery Gergiev, Charles Dutoit, Yuri Temirkanov, Rafael Frühbeck de Burgos, Daniel Harding, and Gábor Takács-Nagy, to name a few. Prior to joining the Verbier Festival he served for 12 years as the Director , and later Assistant Dean, of the Manhattan School of Music’s seminal Graduate Program in Orchestral Performance. While at the Manhattan School Mr. Smith also served as Director of the school’s Community Outreach program, administrative director of the Summer Professional Musical Theater Workshop, and artistic coordinator of MSM”s acclaimed contemporary chamber music ensemble, The Claremont Ensemble. Mr. Smith has performed extensively as collaborative pianist with singers, dancers, instrumentalists and chamber ensembles in the U.S. and abroad. His numerous concerts with vocalists were highlighted by collaborations with renowned tenor George Shirley and the late baritone-bass William Warfield as well as performances with members of the New York Philharmonic. Born in North Africa, raised in Antibes (France), and living in NYC, Annie Kleinschmidt has been a real estate broker for 20 years. She is the founder of La Provencale USA, aka AKNY Real Estate. She also owned a few stores of French food and cheeses in Manhattan, called “La Fromagerie”. Her interest in the arts range from having owned an art gallery/espresso bar “L’Accroche-coeur” on the Upper West Side, to enjoying museums, theaters, and concert halls. Mrs. Kleinschmidt is a passionate reader and believes in the power of literature; she belongs to two book clubs. She loves writing short stories as a hobby and volunteers at the Shearith Israel League. Elizabeth Bennan Ellis studied classical piano for 12 years, which has given her a special appreciation for classical music and over the years she has developed a keen interest in chamber music in particular. She has been a supporter of Music in the Loft for the past 7 years as a habitual audience member. Elizabeth has had a successful career as a real estate broker with Koenig and Strey Home Services for the past 9 years. She has spent a number of years living overseas in Japan, France and England and has traveled extensively though out the world. She is a member of the Chicago Council on Global Affairs. She volunteers at Common Threads, which is an organization that teaches low-income children to cook wholesome and affordable meals. Elizabeth is also involved with Matanya’s Hope which is an organization based in Kenya focused on empowering communities with its primary focus based on education. 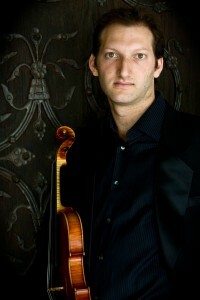 Daniel Andai is concertmaster, frequent soloist and guest conductor of Miami Symphony Orchestra (MISO). He was concertmaster and frequent soloist of the Philharmonic Orchestra of the Americas in New York with whom he recorded multiple Billboard rated SONY Classical CD’s, made numerous televised solo appearances and was featured on AeroMexico and Virgin Atlantic’s in-flight entertainment systems. Daniel Andai is Dean of Music at New World School of the Arts in Miami, Florida and Artistic Director of Killington Music Festival in Vermont. Dr. Andai previously was violin professor and Marialice Shivers Endowed Chair in Fine Arts at University of Texas in Edinburg and served on faculties at Miami-Dade College and New World School of the Arts. 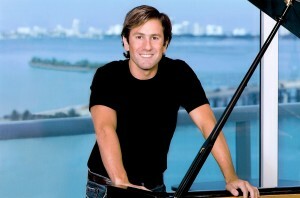 He hold degrees from University of Miami, Manhattan School of Music and Lynn University. Saxophonist Matthew Taylor forges a brave new path for his instrument by honoring the musical traditions of the past and promoting today’s most cutting-edge compositions. 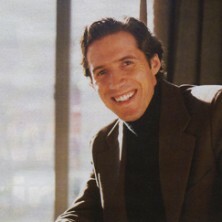 He has played concerts throughout the United States and Europe with such ensembles and artists as the National Symphony Orchestra and National Symphony Pops at the John F. Kennedy Center, the Orchestre du ballet and the Orchestre Choeur d’enfants de Bordeaux in southern France, Frank Sinatra Jr, Quincy Jones, The Temptations, Patti Austin, Marvin Hamlisch, JoAnn Falletta, and Linda Eder, not to mention numerous recital, chamber music, lecture, and conference appearances, including the World Saxophone Congress. While earning his master’s degree at the University of Maryland, he founded TEMPO, a new music group that collaborates with dancers and theatre technicians to create exciting multimedia concerts. Today, TEMPO remains one of the DC area’s most vibrant new music ensembles. Matthew also frequently performed with Great Noise Ensemble, the Wammie Award-winning contemporary music ensemble based in Washington, DC. 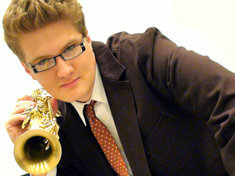 He studied contemporary chamber music and saxophone with world-renowned saxophonist Marie-Bernadette Charrier in Bordeaux, France. While in France, Matthew participated in masterclasses with Henri Pousseur, Henri Bok, and Quatuor Habanera. His frequent collaborations with Thierry Alla, Etienne Rolin, Patrick Mélé, Federico Tarazona, and Juan Arojo resulted in numerous world premiers in France, Slovenia, and the United States.